The annual IMPACT Awards recognizing the best in internships and mentoring is now accepting nominations. Did you host an intern this year who went above and beyond? 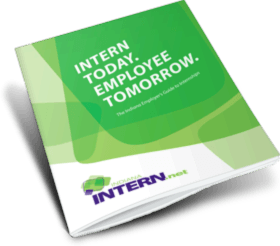 Does your company have an internship program that provides a solid experiential learning opportunity for students? Do you collaborate with a high school or post-secondary institution with an outstanding career development staff? More than 100 interns and employers gathered at the Indiana State Fair on Friday for a networking and community engagement event organized by Indiana INTERNnet. It was the second in a series of summer events designed to influence Indiana’s talent retention. Jill Lehman, vice president of administration and chief people officer at Ontario Systems, views its collaboration with Indiana INTERNnet – an internship-matching program linking employers, students, high schools, colleges and universities – as a perfect fit. A program in Indianapolis offering a bevy of medical internship opportunities for college students with disabilities is gaining momentum. The Eskenazi Health Initiative for Empowerment and Economic Independence is receiving support from Lilly Endowment Inc., the Central Indiana Community Foundation and the New Jersey-based Christopher & Dana Reeve Foundation. Health & Hospital Corp. of Marion County Board Member Greg Fehribach says cities trying to build a more diverse work force can learn a lot from the effort, which is believed to be the only one of its kind in the country. As one of eight science undergraduate students involved in the STEM Summer Internship, Caito works in the interactive biotechnology learning center of the Children’s Museum creating hands-on exhibits that spark and nurture children’s interest in science. BLOOMINGTON, Ind. -- Students in Indiana University Bloomington's 2015 SummerInternship Program in Sustainability will showcase their completed projects from 11:30 a.m. to 1:30 p.m. Friday, July 24, at the Neal-Marshall Black Culture Center's Grand Hall, 275 N. Jordan Ave.
A laugh and smile is the first thing that comes from Noblesville High School senior Juan Armendariz when asked about his knowledge about Noblesville’s largest employer SMC Corporation. Indiana State University graduate Charisa Scott was named INTERNnet College Intern of the Year for her work with Covance Central Laboratory Services in Indianapolis. Indiana is launching a new statewide push to teach students about the value of internships and other work-based experiences that can boost their job prospects in an increasingly competitive economy, the state’s higher education commissioner said Monday. Indiana Commissioner For Higher Education Teresa Lubbers has announced new efforts pushing colleges to include more work-based experiences, such as "meaningful internships," into degree programs. During her annual State of Higher Education Address Monday, she also detailed a new Career Ready campaign designed to boost the connection between education and employment. Lubbers unveiled a partnership among the state, Indianapolis-based USA Funds and Gallup Inc. to provide discounts for Indiana colleges to take part in the Purdue-Gallup Index. A record crowd joined Indiana INTERNnet today to honor the program's top students, employers and career development professionals. Baldwin & Lyons Inc. in Carmel and the DeKalb Chamber Partnership were named employers of the year at the ninth annual IMPACT Awards Luncheon. Indiana INTERNnet Executive Director Janet Boston says Indiana's "increased emphasis" on internships is a win-win. Writing press releases, handling media requests, facilitating interviews, tracking legislation and monitoring media for six senators – it’s just another day at the office for Saint Mary-of-the-Woods College (SMWC) graduate, Jenn Thomas. As an intern in the Indiana State Senate Majority Press Secretary office in Indianapolis, Thomas works alongside a press secretary to handle all communications for the six senators on their caseload. Three Marian University students—Alecia Kissel, Paige Prather, and Tyler Stinn—are finalists for Intern of the Year award from Indiana INTERNet, an intern-matching program aimed at expanding the creation and use of experiential learning opportunities as a key strategy in retaining Indiana’s top talent. Graduates who received their degrees from current Big Ten Conference universities since 1990 are more likely than alumni of other large public and private universities to say they had an internship or job while in school that allowed them to apply their classroom learning. Ivy Tech Community College is expanding a program in Columbus designed to narrow the skills gap. Honda Manufacturing of Indiana LLC in Greensburg is the most recent employer to partner with the school and offer internships in high-demand positions. Every student should graduate from high school having experienced success in several work settings (one of 10 vital experiences). There's no better way to earn job skills than on the job. Work-based learning experiences are a great way to narrow interests and focus future learning. According to Align, Engage, Advance: A Strategic Plan to Transform Indiana’s Workforce – the Indiana Career Council’s strategic plan – 60% of the state’s workforce should have the postsecondary skills that are crucial to Indiana’s economy by 2025. Internships are a clear path to achieving this goal. It’s nomination time for the annual IMPACT Awards, sponsored by Ivy Tech Community College, which recognize the best in internships and mentoring. The IMPACT Awards are presented by Indiana INTERNnet, a statewide resource for Hoosier employers seeking interns, individuals searching for internships and educators. The organization will recognize three outstanding interns, a career development professional and two employers of the year. Local universities and the Valparaiso-based Center for Workforce Innovations are encouraging area employers to consider internship programs. A familiar workforce strategy is now being offered to high school students while addressing a crucial need in the labor market. One in four employers hire from past and present interns; what can you do to stand out from the pack? "What you put in is what you get out!" We're not mathematicians, but we do know this is the simple, tried-and-true formula for finding ROI (Return on Intern, that is!). Indiana INTERNnet is marking its 10th anniversary with a new website. New fields allow students to see if an internship is full or part time and paid or unpaid. Indiana INTERNnet says currently more than 4,000 employers are registered offering more than 750 internships.